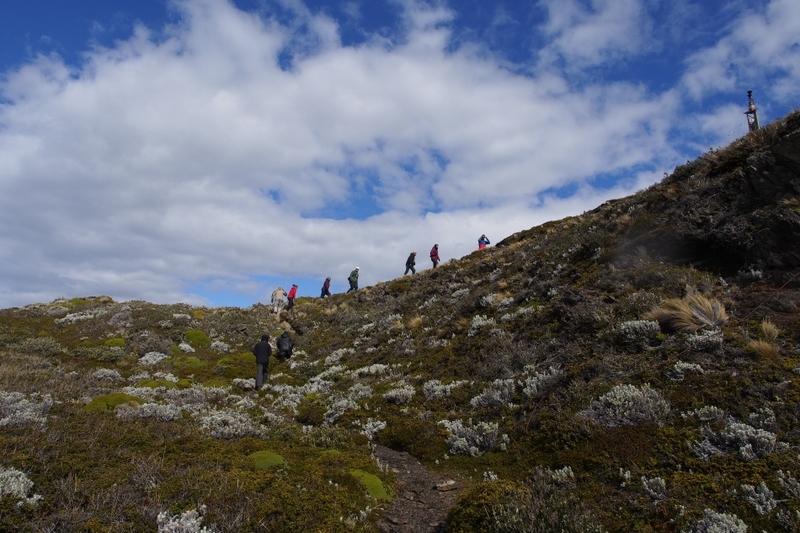 Named after the ship captained by Fitz Roy who took Charles Darwin on board to study natural science around the globe, Beagle Channel was one of the three sail routes where ships could go between the Atlantic and Pacific before the opening of Panama Canal. 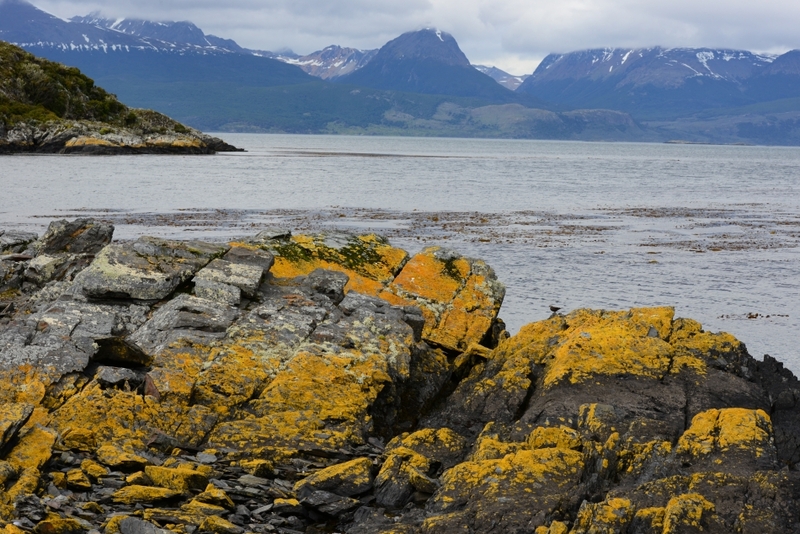 The Beagle channel is narrow, but the water is crystal clear and full of marine wildlife. 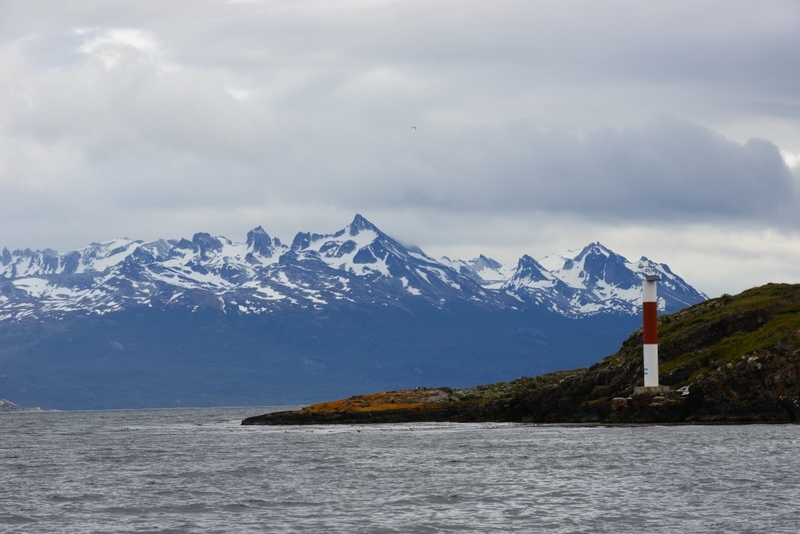 Doing a cruise in the Beagle Channel is a mandatory activity for all visitors to Ushuaia. 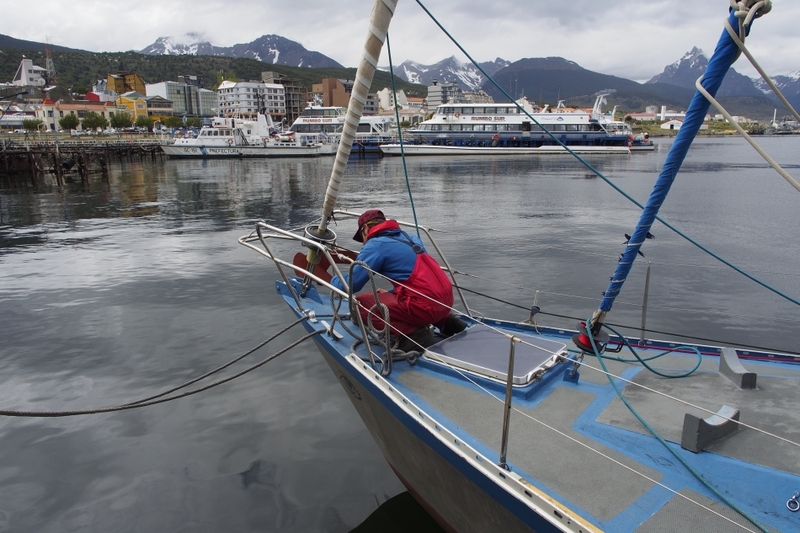 There are many tour companies in town offering various boat rides up the Beagle Channel. After the seafood lunch at Chiko, we took a boat tour with Tres Marias. 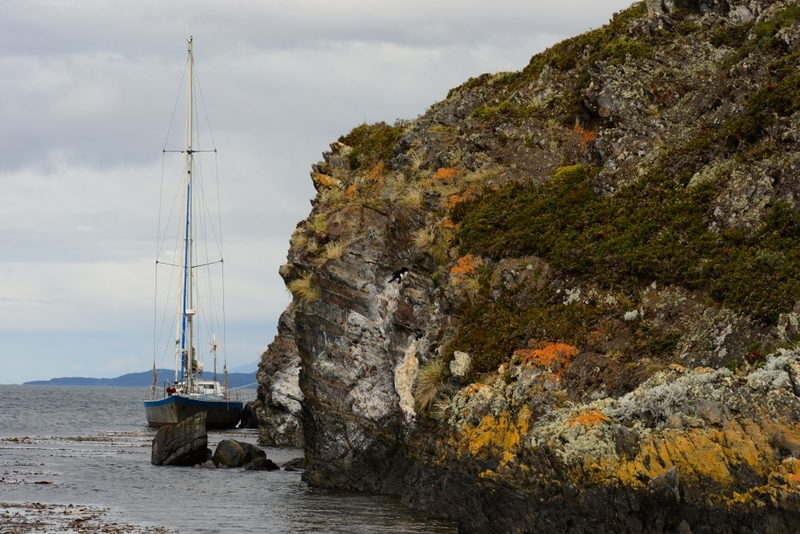 With only 10 people on board, touring the Beagle Channel on a sailboat is a unique experience unlike most of the other cruise boats that can take dozens or even over a hundred of passengers at a time. 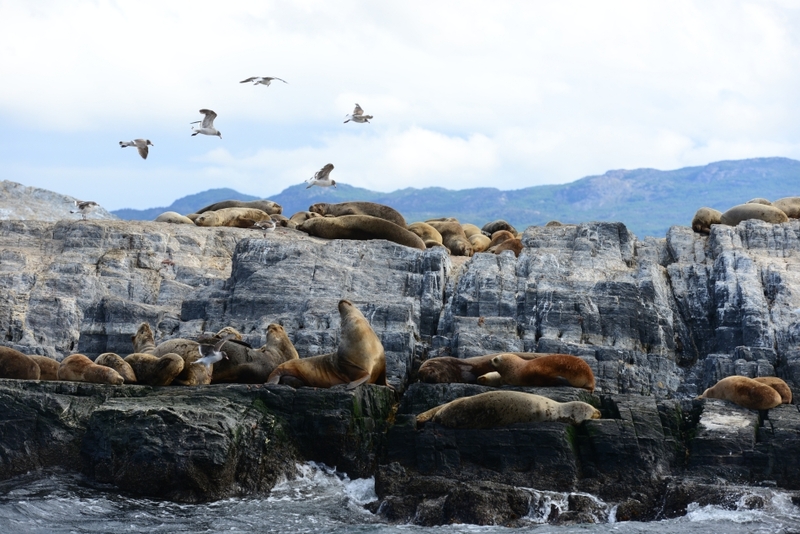 While most boats would take tourists to see the sea lions and sea birds from afar, and reach as far as the Lighthouse Les Eclaireurs, we chose Tres Marias because it allowed passengers to physically land on Isla “H”, a small island in the channel within the Isla Bridges natural reserve. The sea was calm today. After leaving our bags in the cabin, we climbed up to the deck and sat under the boom. The trip to Isla H took about an hour. After we arrived, we got about an hour to hike around the island with our guide. 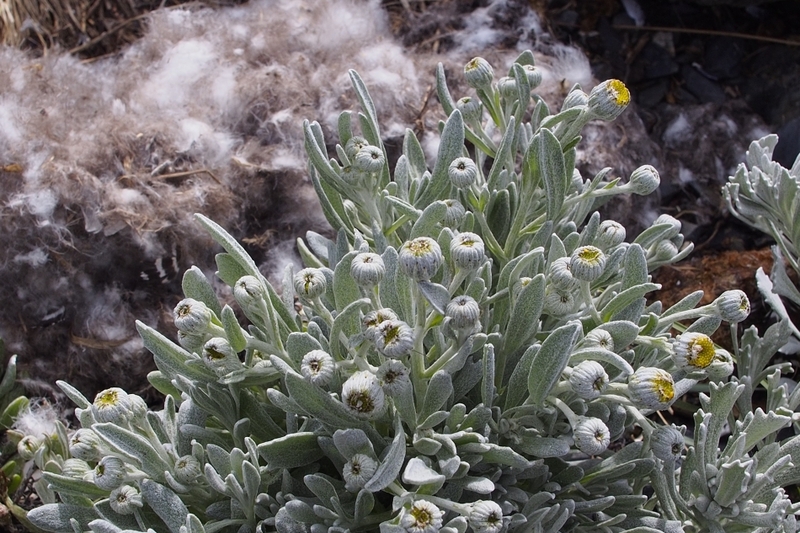 The island is largely covered with small plants that can survive the harsh Fuegian winds. On a stone beach, we passed by a shell mound left by the former canoe people, the nomadic Yamana. 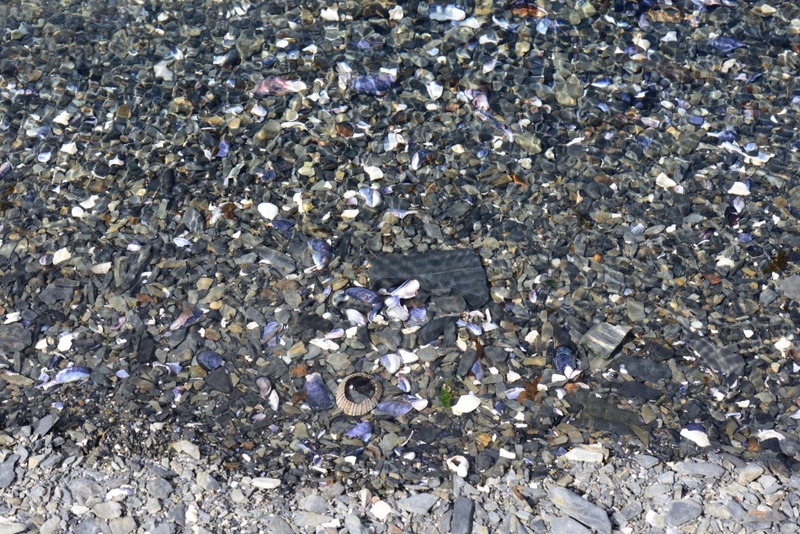 There were also various types of seaweed and seashells all over. 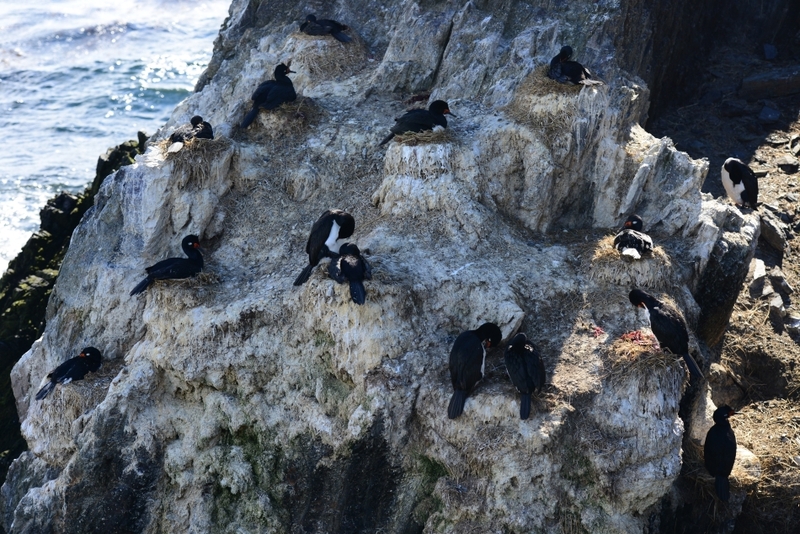 On the high point of the island, our guide led us to a colony of rock cormorants nesting on the cliff. 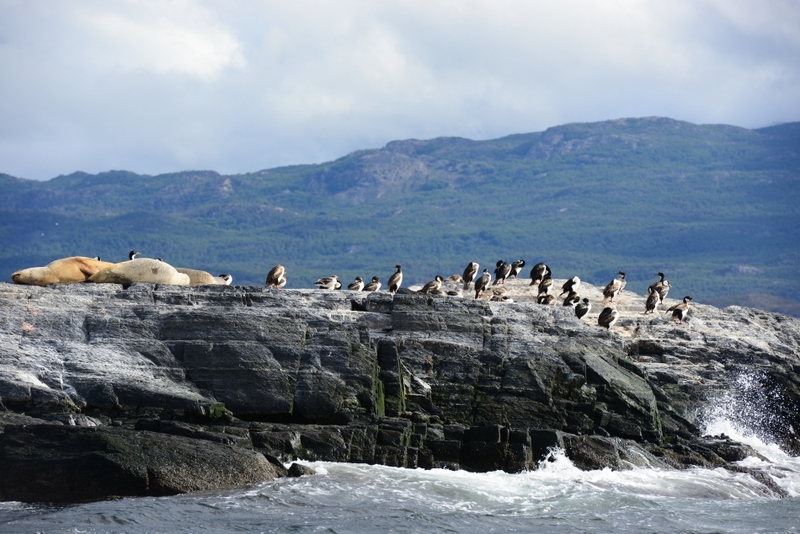 After Isla H, Tres Marias took us to a colony of sea lions on a small island. Waves were higher on our way back with water splashing onto the deck every so often. Since we were sitting at the front of the boat, we both got soaking wet as if exposed to a cold shower. 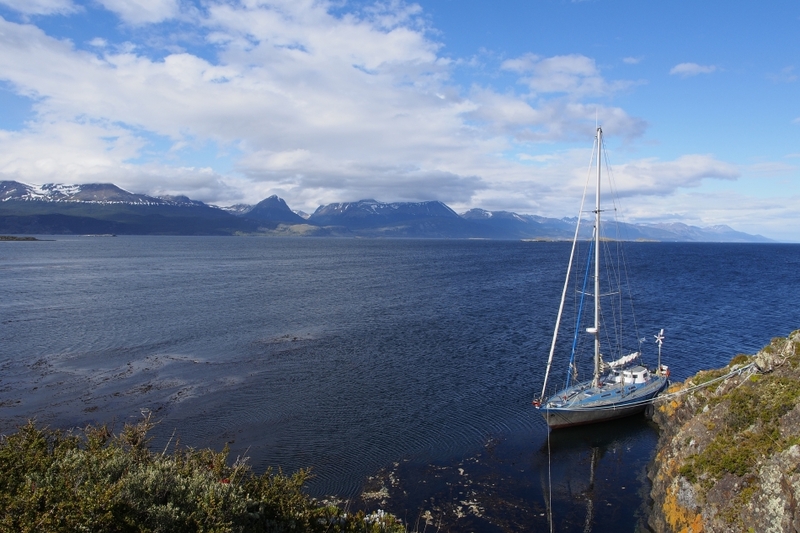 Overall it was a pleasant experience to sail in the Beagle Channel. 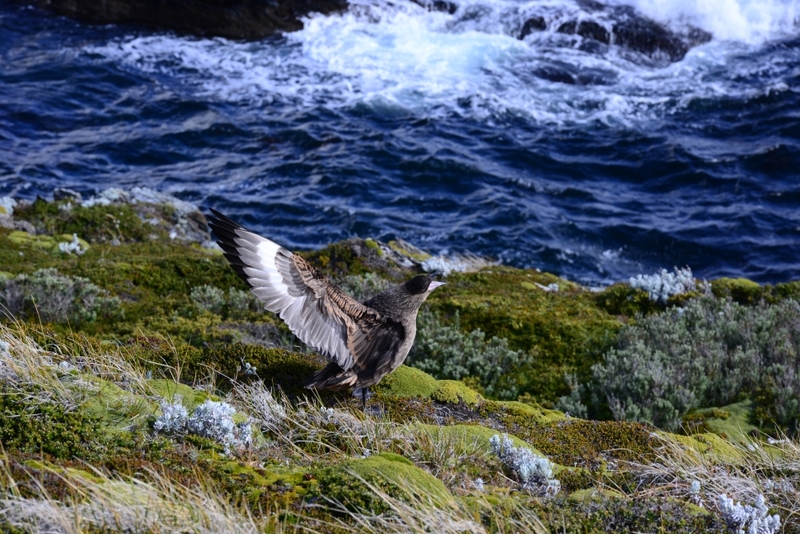 It was cold, wet, but the scenery and the wildlife made it worthwhile. 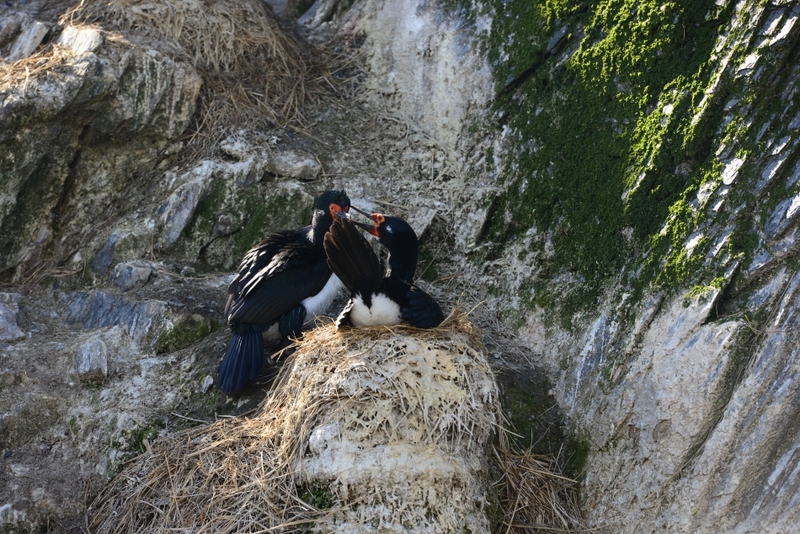 This entry was posted on December 27, 2013 by Blue Lapis Road. 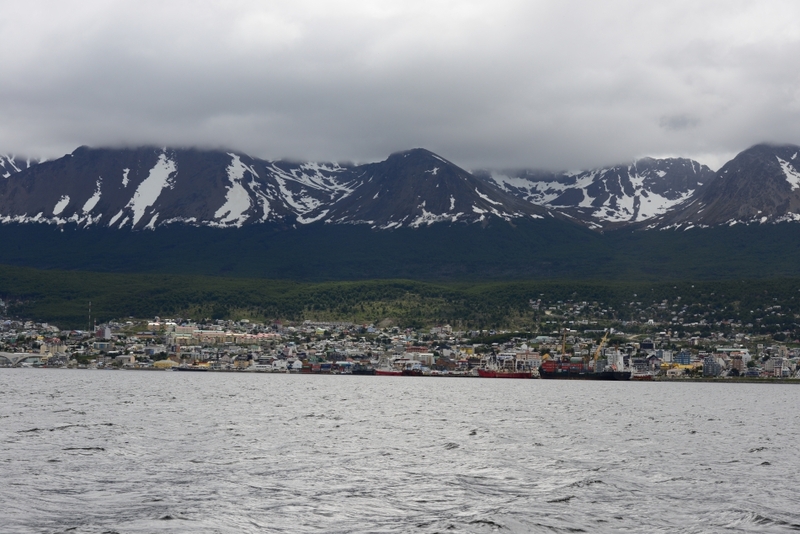 It was filed under Argentina, Day 71 to 80, Ushuaia and was tagged with Argentina, Beagle, birds, boat, Channel, cormorant, destination, Isla H, island, journal, lighthouse, marine, mountains, photo, sailing, sea, sea lion, south america, things-to-do, Tierra del Fuego, Travel, Ushuaia.